The Wholesome Cook shares a delicious and simple summer recipe. 1. Peel pineapple and cut into quarters lengthways, removing the core. Slice each quarter into three. 2. In a small bowl, mix together the honey or rice syrup, lime juice and cinnamon. 3. 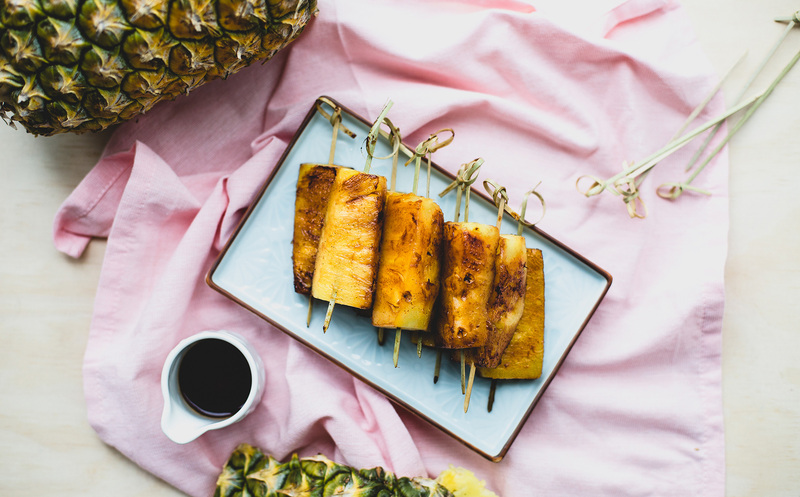 Baste the pineapple wedges with the mixture before cooking in a grilling or frying pan set over medium high heat on each side for 1 minute, or until caramelised. 4. Remove from heat, serve remaining juices on the side and enjoy immediately. Alternatively, cool and store in an airtight container in the fridge for up to 4 days or freeze chopped pieces for up to 6 months. Recipe provided by Australian Pineapples.